It looks like 21 Savage is taking a note from JAY-Z's playbook. According to his manager, Meezy, the rapper is no longer going to be wearing any expensive jewelry as a gesture to both be wiser with his money and to inspire financial literacy for his younger fans. "21 Savage no longer wears jewelry," his manager announced in a series of posts on Twitter. "Buying houses .. investing in businesses .... crypto & youth start ups is what he wanna make cool for young rappers to do. Lead by example." 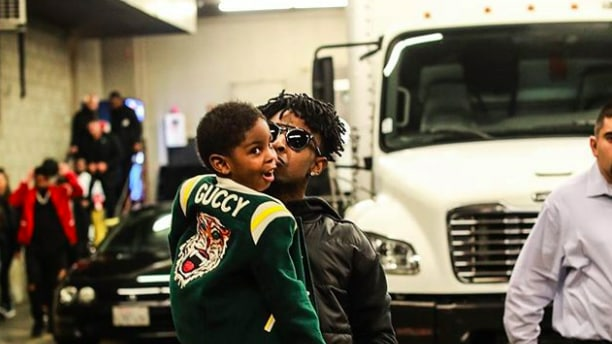 The gesture has been interpreted as a positive one by fans, with many agreeing that it is inspiring for the youth to see a rapper of 21 Savage's stature investing his money in startups, real estate and cryptocurrency, as opposed to dropping hefty bags on iced-out jewelry or a luxury car collection. 21 Savage is currently gearing up to hit the road with Post Malone, which will likely help support his new investment habit. Their massive joint tour is slated to kick off during Coachella on April 14 and conclude on June 24 in San Francisco.